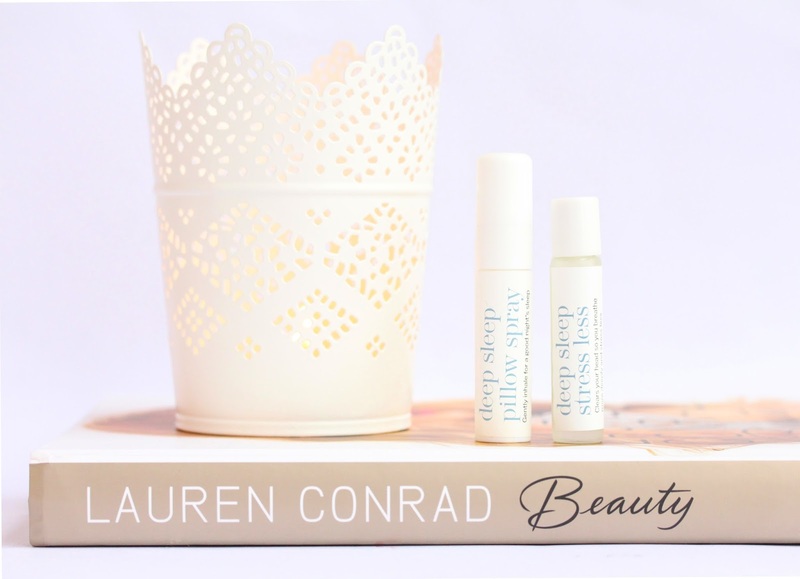 Calling out to all sleep deprived beauties out there – I may have a solution for your problem! As insomnia is pretty much my second name, believe me when I tell you that these two therapeutic miracles in a bottle from this works really do help battle our sleep issues! They have become staples in my nightly ritual and they not only calm my mind but also send me off to lala land in literally seconds. The this works Deep Sleep Pillow Spray (£16) is infused with 100% natural oils and its heavenly scent is a lovely mixture of Lavender, Vetivert and Wild Chamomile. This magical trio has wonderful relaxing properties. It relieves the tension, it calms the mind and soothes the body perfectly. All you need to do is give your pillow a couple of pre-snooze spritzes and the fragrance will instantly take you somewhere else, ensuring a good night beauty sleep. 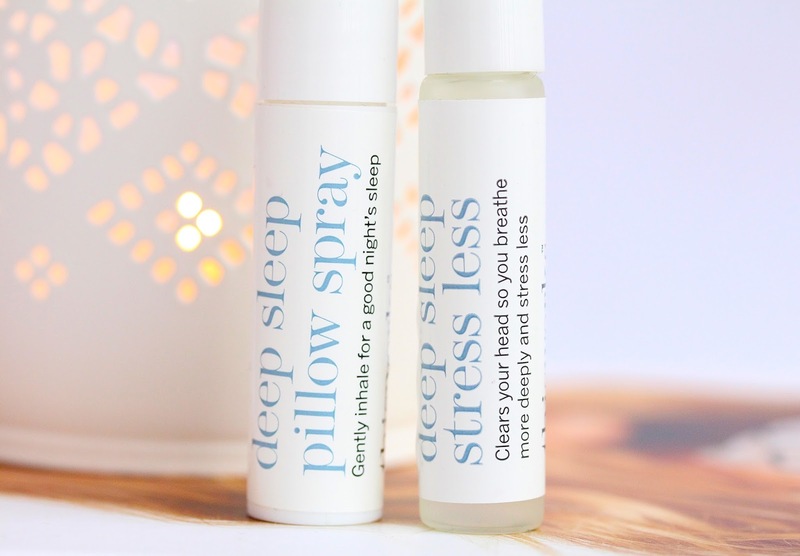 In case you need some more heavy-duty sleep companion – the Pillow Spray in combination with the this works Deep Sleep Stress Less roll-on (£12) will help you kiss the insomnia an instant goodbye. This divine-smelling mixture of Eucalyptus and Lavender helps fight the physical and mental fatigue, it instantly distresses and helps you breath easily again. It clears my head and calms me even when I feel most anxious and stressed out. I just apply some of the oil on my wrists and inhale the vapours. The scent takes me off to some magical forest and helps me switch off. Stress Less works wonders not only before sleep but I also like to have it with me throughout the day so that I can unwind at any time. If you’d like to take that relaxing spa experience we all love at home - you need to get involved with these two gems. This Deep Sleep duo (here) makes the ideal pre-sleep companion and works wonders when you need to relax. It sends you off to sleep that much quicker and even my puppy is obsessed – he always curls on my pillow when I spritz it and he also fancies more cuddles. :) Even writing this post set the sleepy mood and here is me drifting off *zzz*. Have you tried this works Deep Sleep range? If yes, which is your favorite product? I really struggle with sleeping issues so was interested in this post, but unfortunately I can't use anything with lavender in - it makes my skin break out horrendously! So if you have any other suggestions, please let me know! They sound lovely! My sleep issues can't be helped like this sadly, since they stem from drunken, rampaging housemates. Great post though! I have never tried the Deep Sleep range but I have picked up other soothing oils from health stores. They really do help me sleep. I also find adding a bit of oil into my bath before bed really relaxes me. The roll on is amazing! I couldn't sleep last night and my boyf had some that his mum had given him when he couldn't sleep. As soon as I smelt it I felt so much more relaxed and was off to the land of nod! Amazing product! After reading this I'd really like to try this! I have trouble sleeping during my finals - if I don't sleep enough I'll be too tired to study + it's giving my some axiety too. Thanks for sharing! :D I really love your pictures aswell in this post! I have major sleep issues and this sounds like it really helps. I think there are some sleep sprays from Bath and Body Works that should work similarly so I'll have to check those out since it's easier for me to get them. Thanks for sharing ! Thanks for sharing and I will defiantly try to track these down online. I love the sound of this range! I think it could really help me sleep better! This is a great post as I have so much trouble sleeping and also relaxing. I might buy the roll-on and see how I get on with that first. I like the sound of a product that I can just dab on throughout the day whenever I feel anxious or stressed. This range sounds great! I love relaxing scents like lavender and eucalyptus, they really do help so the roll on sounds amazing. These products sound great! You should try Bath and Body Work's Lavender Sleeping Pillow Mist! I'm hoping to try out products from the Deep Sleep range because I would love something to help me sleep at night! Lovely photos and great post. I always have trouble sleeping, I really want to try the Therapie detox salts cause they're supposed to be very good to help sleep. I dont have super regular sleep issues - I would say a few times per every 2 weeks. I think investing in these products would help me on those nights when I just cant fall asleep. Thanks for sharing! Perfect for sleeping and pampering too, thanks for the tips! Do you want to buy a cooling pillow? Then you should visit the RED BUG website. RED BUG provides the best cooling pillow at the affordable price. The quality of their pillows is superb.